Faith leaders gathered Monday at the Beth Israel Congregation in Jackson to call for the end to hate in the wake of Saturday’s massacre at a Pittsburgh synagogue. 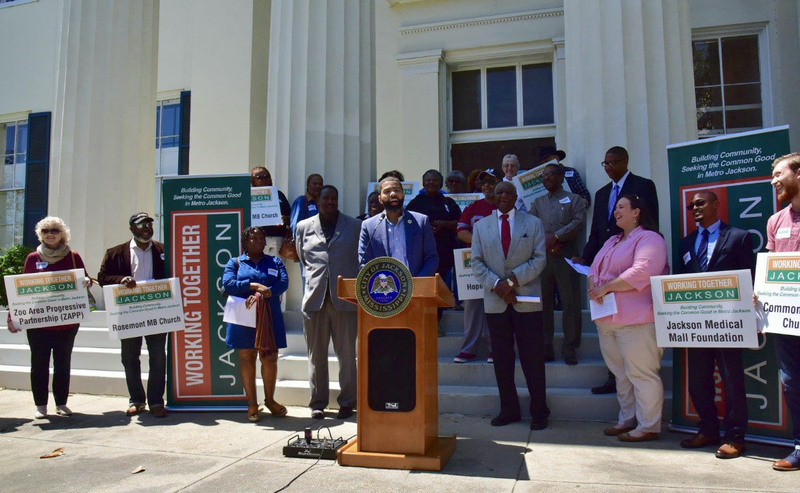 When the Jackson Zoological Board announced its intent to relocate from west Jackson to northeast Jackson, Working Together Jackson quickly mobilized for a press conference with Mayor Chokwe Lumumba. Said WTJ leader Heather Ivery, the "intent to leave west Jackson is disheartening -- not only because of the possibility of losing a historic, 100-year old ecosystem, but because of the lack of transparency and involvement of the community in the decision-making process." Mayor Lumumba echoed WTJ's words, calling the proposed $50 million investment required for relocation "disrespectful to the history of the zoo and the folks in the community in which the zoo currently resides." People from across the City of Jackson, including State Senators John Hohrn, David Blount and Solly Norwood, and Hinds County Sheriff Tyrone Lewis, joined Working Together Jackson's "We Care for South Jackson" Saturday morning rally. 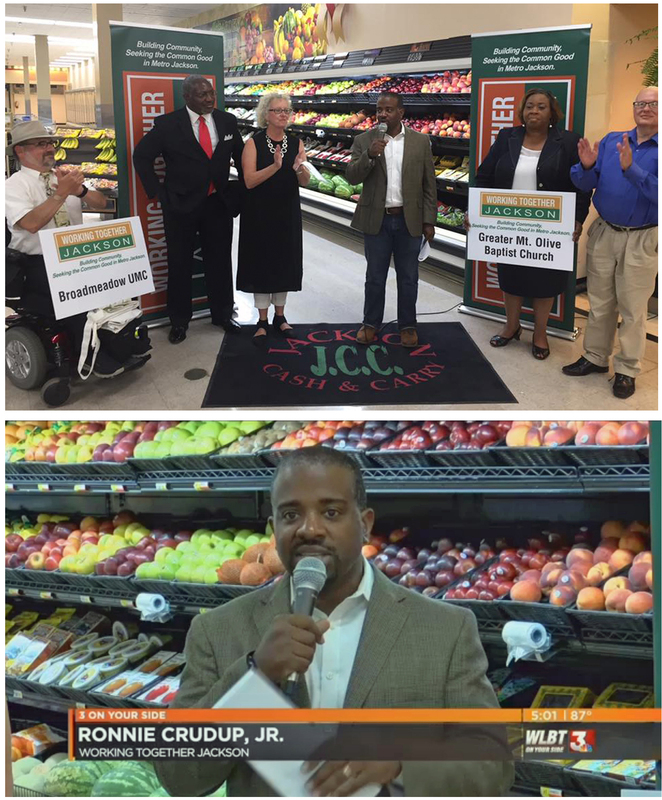 Bishop Ronnie Crudup announced that it is "evident that Kroger does not favor urban folk and urban areas" given their recent withdrawal of four grocery stores from Jackson. Leaders also pointed out that the city (with 180 thousand residents) now has only one grocery store, while suburban Madison (with only 20 thousand residents) has twice that number. So far, WTJ has helped saved the jobs of 109 workers that would have been replaced, by assuring their relocation to other Kroger stores at their same pay, and secured commitments from the store to continue their support of local schools. 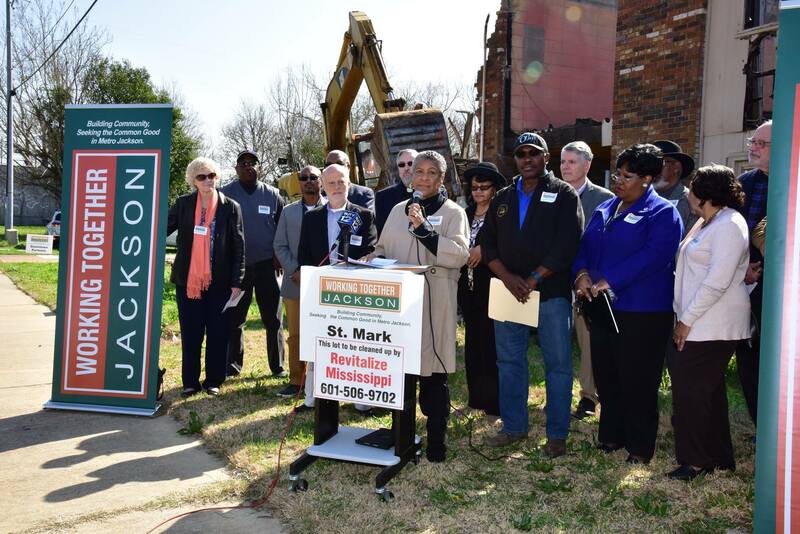 Leaders continue to demand that Kroger refrain from putting a deed restriction on the property that would prevent another grocery store from coming in.